First-episode psychosis patients who participated in a comprehensive, team-based treatment program at community-based clinics that included a combination of medication and psychosocial support experienced significant improvements in symptoms and quality of life compared with those receiving usual care. That’s the finding from a landmark study appearing today in AJP in Advance of the NIMH-funded Recovery After an Initial Schizophrenia Episode (RAISE) initiative. Importantly, the study also found that the best results were for patients who had shorter durations of psychosis, underscoring the importance of early intervention. The study received widespread coverage including a report in the New York Times that cited experts who said the study could help to dramatically change the way first-episode patients are treated. 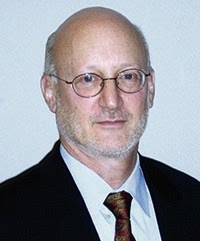 Lead study author John Kane, M.D., chair of the psychiatry department at Hofstra North Shore-LIJ School of Medicine, and colleagues at multiple institutions used a model called NAVIGATE that includes four core interventions: personalized medication management, family psychoeducation, resilience-focused individual therapy, and supported employment and education. The model was delivered at community-based clinics to mirror real-world settings. Thirty-four community mental health treatment centers in 21 states were randomly assigned to the experimental intervention (n=17) or to standard care (n=17). A total of 223 patients received the experimental NAVIGATE intervention, and 181 participants received usual care. The study found that NAVIGATE patients remained in treatment longer, experienced greater improvement in quality of life and psychopathology, and experienced greater involvement in work and school compared with patients in community care. NAVIGATE participants with duration of untreated psychosis of less than 74 weeks had greater improvement in quality of life and psychopathology compared with those with longer duration of untreated psychosis and those in community care. The National Alliance on Mental Illness (NAMI) plans to use this program and study findings in support of a major campaign to promote broader adoption of coordinated specialty care services throughout the states for people experiencing first-episode psychosis. As part of this effort, NAMI has arranged a Congressional briefing that is taking place this afternoon in which Kane, and Lisa Dixon, M.D., will present the RAISE comparative effectiveness and implementation results. Coverage of the briefing will appear in a future issue of Psychiatric News.